Retrotec began as a blower door manufacturer in Ottawa, Canada. But, by 1984, they grew to include offices in the US.. Retrotec soon expanded their services to include instruction for home performance and whole house diagnostics professionals. Since that time Retrotec has evolved into the world’s leading manufacturer of building diagnostic tools, software and manufacturer’s certification. Retrotec blower doors and duct testers were specifically geared towards for-profit contractors. The target was professionals that build and retrofit high performance houses that don’t qualify for government subsidies. The not-for-profit sector developed overtime into a driving force for technological innovation and grew the expertise of its workforce. Now, Retrotec designs and delivers equipment and applications for testers and researchers in both sectors. Retrotec worked closely with HVAC, window, and insulation contractors for decades to pioneer a wide range of profitable applications. This collaboration advanced the “sales-diagnostic” procedure with great success. That success eventually led to the creation of the Comfort Institute (CI), which became a separate company in 1999. Retrotec has become known for its total dedication to innovation and improvement. Its equipment and applications have been re-engineered gradually to maintain professional appearance and performance standards. But, with the aid of an all injection molded product and manufacturing efficiencies, they still compete with less advanced products on the market. Retrotec now has over two dozen employees in the US and exports to over 50 countries making it the largest blower door/duct tester manufacturer in the world by a factor of two. In 2017, with Retrotec experiencing unmatched and continued growth, Colin Genge’s decision to retire provided Retrotec with an opportunity to find a strategic partner to further expand into even wider-ranging markets. The decision to pair with Wöhler Technik came as an unmatched opportunity. While the acquisition stands to provide future opportunities in related industries, Wöhler and Retrotec continue to run as separate entities, with no changes in Retrotec's branding, distribution network, and daily business operations. 1985: Retrotec wrote the first standard for testing fire suppressant containment for NFPA which was soon followed with an ISO version. Retrotec is considered the world’s leading expert in this field. 1989: Retrotec developed the first duct tester for Canadian Mortgage and Housing Corporation. 1990: Retrotec finished moving 100% of its manufacturing to Washington State, USA. 2011: Retrotec was the prime developer of the large building airtightness testing Protocol for the U.S. Army Corp of Engineers. 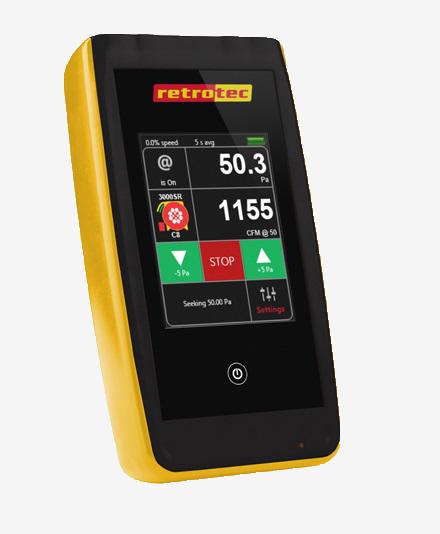 2013: Retrotec released the first Touch Screen WiFi gauge leaving behind all competing gauges. 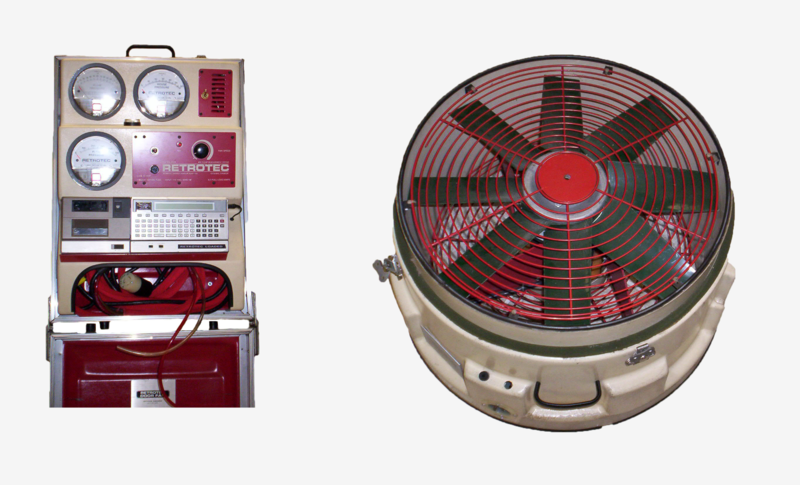 2015: Retrotec produces 5 test fans, 5 door panel systems and custom software. New applications now complied with every residential, commercial building and duct testing standard in the world. It redefines the market by programming the DM32 to control every manufacturer’s test devices. 2015: Retrotec becomes the best low cost applications as well as the leader for high end diagnostic tools. 2015: Retrotec becomes the ONLY blower door manufacturer to achieve the internationally recognized “ISO 17025 accreditation” for both pressure and flow. Allowing Calibrations performed by Retrotec to be accepted by every government and industry organization, body and standard. 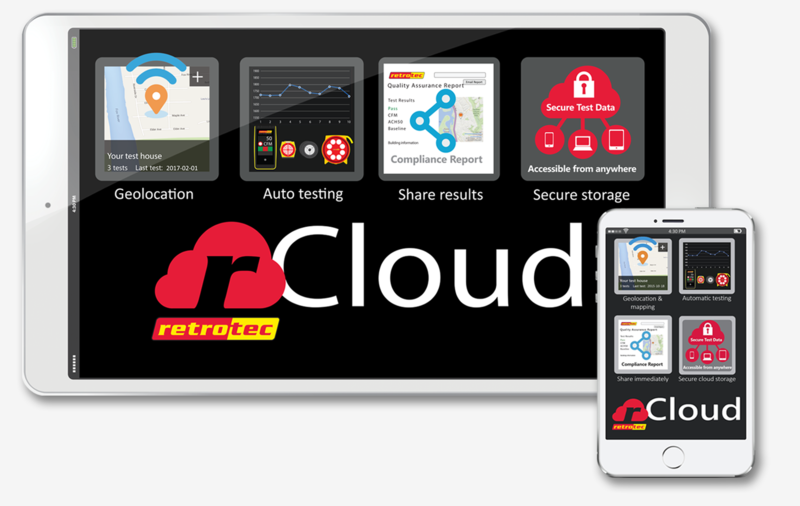 2016: Retrotec releases rCloud. This is the only automated testing app that geolocates test location, automatically performs blower door or duct tests to common standards and creates secure compliance reports that can be shared immediately and viewed from anywhere.